Saucer Time! : Apple iPhone: Siri Does UFO Research Too! Apple iPhone: Siri Does UFO Research Too! Dose.com has an article titled "19 iPhone Tricks And Tips Apple Doesn't Want You To Know. 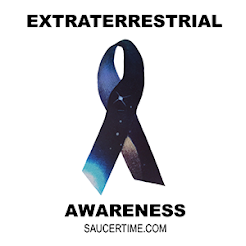 #7 Just Made My Life" Some of the tricks I had already discovered on my own, but #13 was a new one to me and could be very beneficial for UFO hunters. 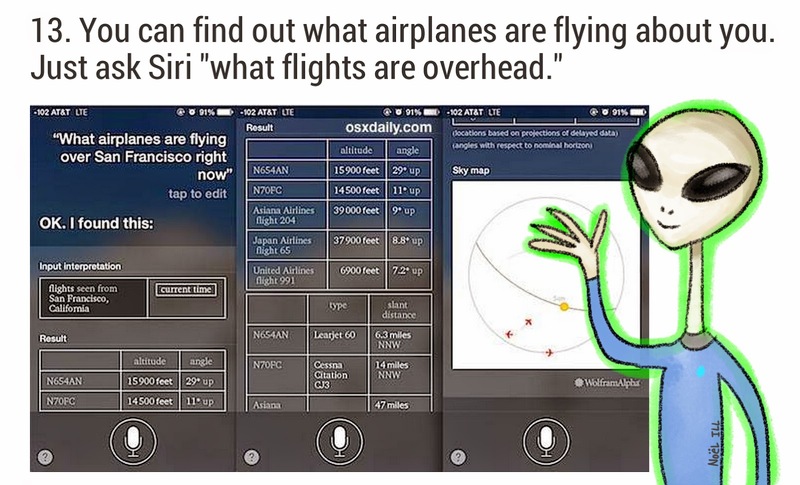 Apparently, you can find out what airplanes are flying around you if you just ask Siri. So basically if I spot a strange object flying or floating over head, I simply ask Siri, "what flights are overhead?" My iPhone will then display an air traffic map with all the known airline flights overhead, their angles and altitudes! This is a great way to keep track of what's in the sky and help to differentiate airplanes from unidentified flying objects.